This month is Irish Heart month, which culminates on World Heart Day on 29th September. Heart disease is Ireland’s number one killer, accounting for more than one third of all deaths in this country. Approximately 10,000 people die each year from cardiovascular disease, which includes heart attacks, strokes, and other circulatory diseases. Cardiovascular disease accounts for nearly a quarter of all premature deaths of people under the age of 65. It is also estimated that 30,000 people are living in the community with disabilities as a result of a stroke. Cardiovascular disease is often thought of as something which mostly affects men, however, heart disease and stroke is also the leading cause of death among Irish women, and the risks increase significantly after menopause. The tendency to develop heart disease or stroke is genetic and tends to increase with age. However there are also many other risk factors which can be controlled in order to reduce the risks. Smoking is a major risk factor for heart disease, including both heart attacks and strokes, and smokers are twice as likely to suffer a heart attack than non-smokers. Therefore, giving up smoking is the single most effective means of reducing your risk of cardiovascular disease. High cholesterol is another recognized risk factor for cardiovascular disease. If there is too much cholesterol in your blood, it can adhere to the inner lining of the blood vessels and cause them to become narrow and hardened. If a blood vessel supplying the heart muscle becomes blocked completely, this results in a heart attack, which causes damage to the heart muscle. If a blood vessel in the brain becomes blocked, it results in a stroke, which damages the brain. However, cholesterol is much more likely to adhere to blood vessels which are inflamed or damaged for other reasons, such as smoking or poor diet. Being overweight and having high blood pressure both mean that the heart has to work harder to pump blood around the body. This extra pressure can cause wear and tear on both the heart and blood vessels. It is thought that fat which is stored around the abdomen (giving rise to an ‘apple-shaped’ figure) presents a greater risk for cardiovascular disease than fat which is stored around the buttocks and thighs (leading to a ‘pear-shaped’ figure). Being overweight can lead to both high blood pressure and diabetes, which causes damage to blood vessels due to elevated blood glucose, and is therefore another risk factor for cardiovascular disease. Stress also raises blood pressure and increases heart rate, putting greater pressure on the heart and blood vessels. In addition, stress often causes people to engage in more activities which can damage the heart and blood vessels, such as smoking, drinking too much alcohol or coffee, eating the wrong foods, and being inactive. By far the best ways of reducing the risk factors for cardiovascular disease, such as high blood pressure, elevated cholesterol, diabetes and being overweight, are by getting enough exercise and eating a healthy, balanced diet. Exercising for at least 30 minutes every day helps to reduce blood pressure and stress levels, prevents obesity and diabetes, and strengthens the heart and circulation, thus preventing heart disease and strokes. It is best to try and choose activities you enjoy in order to to keep you motivated; such as brisk walking, sporting activities, swimming, dancing, gardening, or playing active games with children or grand children. Eat a healthy, balanced diet including plenty of fresh fruit and vegetables, which contain antioxidants that help to prevent damage to the heart and blood vessels. Wholegrain cereals such as oats help to control cholesterol levels, while olive oil and oily fish help to prevent blood clots. Choose lean meat and skinless chicken instead of fatty meats. 2-3 squares of good quality dark chocolate and a daily glass of red wine have been shown to have beneficial effects on the cardiovascular system. Avoid animal fats as much as possible; and especially trans-fats, which are found in some margarines and many processed foods. It is also important to avoid fried and fatty foods such as creamy sauces, cakes, biscuits, crisps, and chocolate; and try to reduce consumption of salt, alcohol and coffee, all of which raise blood pressure if consumed in excess. One of the best remedies available for the heart and circulation is hawthorn, which comes into fruit around this time of year. Modern research has confirmed that hawthorn contains powerful antioxidants called flavonoids, and clinical trials support its use for this purpose. Medical herbalists frequently use hawthorn in combination with other herbs for a range of problems affecting the heart and circulatory system. It may be used with herbs such as cramp bark which relaxes blood vessels, motherwort which regulates the heartbeat, yarrow which removes excess fluid, lime flower which acts as a gentle relaxant, or artichoke which lowers cholesterol. In some cases herbs such as these may be used to reduce the dose of orthodox medicines in consultation with the individual’s GP. The Lismore Clinic is delighted to announce that Maggie Burns, acupuncturist, will be joining the team of practitioners at the clinic. 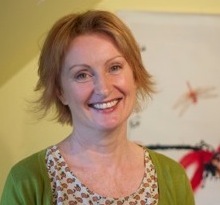 Maggie is an experienced acupuncturist who qualified from the Acupuncture Foundation of Ireland (AFI) in Dublin. As part of her training she worked in acupuncture hospitals in Nanjing, China. Maggie has also undertaken a great deal of postgraduate training including: Auricular Acupuncture, Treatment of Sports Injuries with Acupuncture, Fertility Acupuncture, Acupuncture for Obstetrics, Applied Facial Diagnosis and Cosmetic Acupuncture. Acupuncture is one aspect of Traditional Chinese Medicine (TCM), which also includes Chinese Herbal Medicine, Food Therapy, Tuina Massage and Qi Gong. It has been widely used in China and the Far East for thousands of years, in the West since the 1970s, and is now recognized by the World Health Organisation (WHO) for its efficacy in the treatment of a wide range of clinical disorders. Acupuncture is based on a 5,000 year old Chinese medical tradition that recognises channels (meridians) in the body through which the Qi(energy) of the body flows, connecting deeply with the internal organs. Along the superficial pathways are acupuncture points. Good health and resistance to disease depends on the smooth, unrestricted flow of abundant Qi within the channels, which nourishes the whole body. Emotional problems, lack of sleep, imbalanced eating habits or exercise routines, and poor lifestyle choices unbalance the smooth flow of Qi causing poor health. Acupuncture can help to redress the imbalance and restore health. An acupuncture treatment involves the insertion of extremely fine, pre-sterilized, disposable needles to acupuncture points on the body surface. This reduces, increases, moves, or unblocks the Qi as required for each individual person, allowing it to flow freely, stimulating the body’s own healing powers. People generally find it very relaxing and often sleep once the needles are inserted. Acupuncture stimulates the immune system, promotes blood flow and aids better circulation of lymph. Moxibustion and cupping may be used in addition to acupuncture. Moxibustion, (more commonly referred to as “moxa”), involves burning the mugwort herb over a particular area or acupuncture point on the body of the patient. It has a warming, tonifying effect, which promotes relaxation and healing. Cupping involves the use of gently heated cups applied to the skin to stimulate the circulation and release of toxins from the tissues. It has received extensive publicity in the recent Olympic Games in Rio De Janeiro, when the American swimming star, Michael Phelps appeared with cupping marks on his body. In the hands of a fully qualified professional practitioner, the use of acupuncture is entirely safe and free of any harmful side-effects. It can be very safely combined with other therapies and with orthodox medical treatment. Acupuncture can be used for pain relief, (such as neck, back, hip and knee pain, arthritis, injuries and fibromyalgia). It is also helpful for a wide range of other conditions including headaches and migraines, insomnia, stress and anxiety, chronic fatigue, respiratory or digestive problems, infertility, and problems associated with periods and pregnancy. For more information or to make an appointment, please contact Maggie at the Lismore Clinic 087 963 4988, or visit www.thelismoreclinic.ie. Maggie is a member of the Acupuncture Foundation Professional Association (AFPA), established in 1987, and European Traditional Chinese Medicine Association (ETCMA). Treatments are covered by the private healthcare insurance companies in Ireland such as Laya, Aviva, VHI, HSF and the St. Pauls Gárda Medical Association. A recent study has found that the Mediterranean diet is more effective than statin drugs in the treatment of heart disease, and people suffering from cardiovascular problems are 37% less likely to die early if their diet is based on healthy foods such as vegetables, fish, nuts and olive oil. High cholesterol is a recognized risk factor for cardiovascular disease. It can adhere to the inner lining of the blood vessels and cause them to become narrow and hardened. If a blood vessel supplying the heart muscle becomes blocked completely, this results in a heart attack. Similarly, if a blood vessel supplying the brain becomes blocked, this causes a stroke. However, cholesterol is much more likely to adhere to blood vessels which are inflamed or damaged for other reasons, and many people can have high cholesterol levels without ever suffering from cardiovascular problems. Cholesterol-lowering drugs such as Crestor, Lipitor, and Zocor, have been shown to reduce the risk of heart attacks and strokes by about 24% in people already suffering from cardiovascular disease. However, they are increasingly being prescribed to otherwise healthy individuals with high cholesterol. A study carried out by researchers in Galway in 2013 showed that statin drugs not only triple the risk of coronary artery disease in otherwise healthy people, but also significantly increase the risk diabetes, cataracts and erectile dysfunction in young people, and increase the risk of cancer and Alzheimer’s disease in the elderly. This research, which was published in the Journal of Endocrine and Metabolic Diseases, is only one of a number of studies that question the practice of using statins for prevention of cardiovascular events in otherwise healthy people. There is mounting evidence that people with high cholesterol and other cardiovascular risk factors really need to rethink their approach to dealing with these problems. 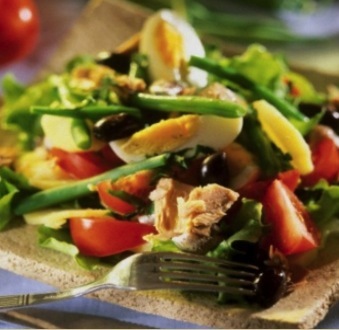 The new study has proven that eating a healthy diet rich in vegetables, fish, nuts and olive oil, is by far the best way of reducing the risk of cardiovascular disease. Fresh fruit and vegetables contain antioxidants that help to prevent damage to the heart and blood vessels, while olive oil and oily fish help to prevent blood clots. 2-3 squares of good quality dark chocolate and a daily glass of red wine have been shown to have beneficial effects on the cardiovascular system. Avoid animal fats such as red meat and dairy products as much as possible; and especially trans-fats, which are found in some margarines and many processed foods. Exercising for at least 30 minutes every day helps to reduce blood pressure and stress levels, prevents obesity and diabetes, and strenghtens the heart and circulation. If you are a smoker then giving up smoking is the single most effective means of reducing your risk of cardiovascular disease. Stress is another important risk factor for cardiovascular disease. Stress raises blood pressure and increases heart rate, putting greater pressure on the heart and blood vessels. In addition, stress often causes people to engage in more activities which can damage the heart and blood vessels, such as smoking, drinking too much alcohol or coffee, eating the wrong foods, and being inactive. In addition to diet and lifestyle changes, herbal medicine is very efficient in reducing cardiovascular risk factors such as high blood pressure and elevated cholesterol. In many cases, herbs may be used to reduce the dose of orthodox medicines in consultation with the individual’s GP.